There was never any chance that Russia would “intervene” in Armenia, but that didn’t stop the country’s Color Revolution leader Nikol Pashinyan (image on the right) from reassuring his countrymen that this scenario has apparently been averted, an announcement that was gleefully spread all across the Western Mainstream Media these outlets’ self-interested “deep state” backers who were more than happy to remind the world about the omnipotent so-called “Russian threat” and frame this non-event in a way that makes it seem like President Putin “backed down”. The Western public has been conditioned with a relentless stream of actual propaganda and a high degree of more professional infowar tactics to believe that the Russian reunification with Crimea wasn’t an exception to International Relations driven by the region’s historic, demographic, and geostrategic uniqueness from the rest of rump Ukraine, but was the beginning of a Eurasian-wide “hybrid war” blitzkrieg of which Armenia might have been the next so-called “victim” had it not been for Pashinyan. 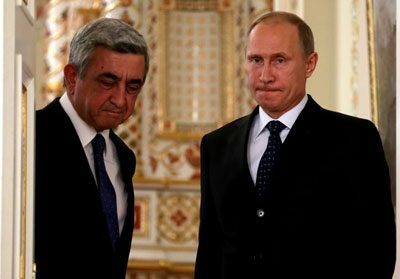 The hyper-nationalist figurehead aligned with the powerful Californian diaspora community is being presented as Armenia’s “anti-Putin” in the sense that he helped overthrow long-serving politician Serzh Sargsyan (image on the left) who was considered to be “Russia’s man”, which itself was a misleading description created in order to craft the perception that Moscow is somehow partially culpable for the country’s socio-economic malaise under the previous administration. 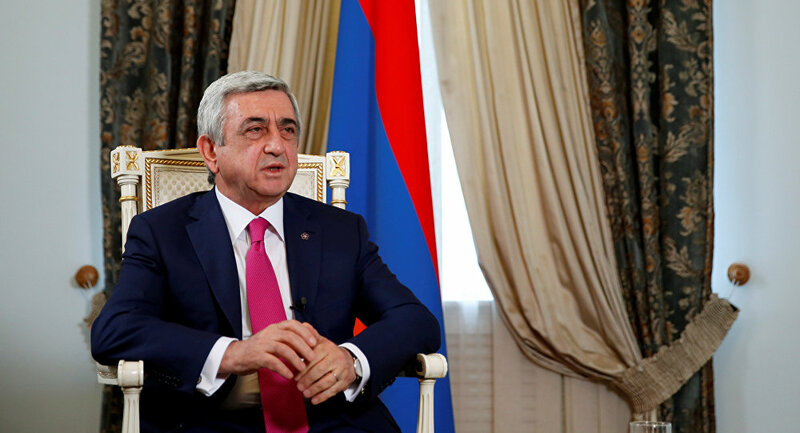 For as ridiculous as this narrative is, Russia regrettably made itself an easy target because of its failure to communicate its “military diplomacy” with Azerbaijan to the masses, which allowed hostile foreign-backed forces and their domestic demagogic allies to portray it as “two-faced” and thus invent the supplementary storyline that Sargsyan was somehow “allowing” this happen by not “speaking out loudly enough” against it. Ignoring the fact that Russia is the only one of the three co-chairing Great Powers of the OSCE Minsk Group with a vested interest in regional stability, this narrative became believable to some people.